There is nothing more exciting then starting a gym business. For fitness buffs who wish to take their passion onto a whole new level, the growing demand for gyms across Australia is a promising venture. Perhaps, starting a franchise gym like Anytime Fitness or Jetts or F45 is the easiest and promising route to take. 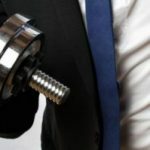 Opening a franchise gives you an advantage as your gym will be associated with an established company, building reputation as well as crafting business plans, policies, rules and regulations, membership procedures and marketing tactics are already done beforehand. What you need to do is to find a dependable franchise gym insurance to ensure safety net for your new-found passion. 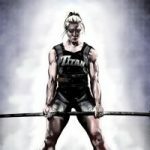 Owning a new franchise gym in Australia requires that you have insurance policy handy. Coverage can run from facility and liability benefits as well as add-on items like protection from theft, fire, terror threat, and so on. 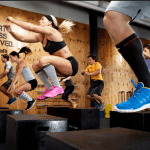 Before digging into what cover a franchise gym insurance needs, it is imperative that you have an idea about how fraudulent activities have also wreak havoc to newbies in the fitness industry. Here are some important points to ponder upon before you start and prevent being embroiled in terrifying fraudulent activities turning your hard-earned investment into smoke. Before going into the heart of insurance, an interested investor in a franchise gym must first ensure authenticity of the business. While the Australian IFA (International Franchise Association) is known for its strict rules when it comes to franchising opportunities like gym business, vultures still lurk within the industry waiting for their next prey. These dishonest individuals are looking for unsuspecting investors with minimal experience in the field of gym franchise. Once they see through the naivete, they will find ways to extort money by means of fake franchisees or double that of the asking franchise fees. Before you start, it is essential to do research on the franchisor, the history of the franchise, subsequent franchisees in other areas, and so on. In short, get a good grasp of what you’re getting into and know fully well the people behind. Most reputable gym franchisees are members of the Australian IFA and registered with the Intellectual Property Office and with known track record in the industry. These franchisees often put you at the centre of the franchise, picking the best location for you, and at some point, may even allow you to get to know some of the franchisees. If all they present sounds like insubstantial excuses; STOP! It no longer matters how great your franchise gym insurance is if the establishment itself is a fraud to begin with. 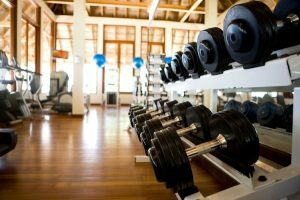 Once all the legalities of your gym franchise are straightened out, choosing an insurance provider should be next on your priority list. 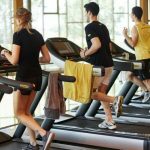 A quick search online will tell you that there are hundreds of insurance companies offering nothing but the best coverage for franchise gyms or any business for that matter. Most, if not all, tend to promise astounding benefits and are seemingly in constant competition of who will top in the incentives hullabaloo. When taking out a franchise gym policy, tolerable care must be taken into mind. Go for trusted names in the industry. Aside from excellent reviews and feedback from co-franchisees and family or friends in the business, it is also imperative to look at licensing and longevity as well as high marks from the Australian Competition and Consumer Commission (ACCC, Australia’s equivalent to the US BBB). To shop for competitive prices, shopping for quotes online will help. Of course, a good talk with an insurance broker also helps as these professionals have hundreds of insurers which can work to your franchise gym’s unique needs.